In our last article we covered the differences between getting pre-approved and pre-qualified for a mortgage. If you’re actively looking for a mortgage pre-approval is what you should be looking for. Below we cover the steps for getting pre-approved and what you need to know to increse your chances of getting approved. Buying a home represents one of the most exciting financial milestones faced by many families. However, the mortgage process is often frustrating and long. Additionally, if you aren’t properly pre-approved for a mortgage, it can be difficult to move quickly on your purchase; some sellers (and their real estate agents) won’t even consider you unless you have a pre-approval document from a mortgage lender. First of all, pull your own credit report and score to get an idea of what your credit situation looks like. You are entitled to one free credit report each year from each of the three major credit bureaus. You have to pay for your “official” credit score, but you can get a fairly good idea of where you stand from free sites like Credit Sesame and Quizzle. Once you know your credit situation, and your income, get estimates from a few banks. Find out what you pre-qualify for, based on the information you provide. After you have an idea of what to expect, choose a lender that offers a good deal, and begin the pre-approval process. Lenders have different requirements, so it is often a good idea to call ahead of time and find out exactly what you’ll need in order to prove your income for pre-approval purposes. 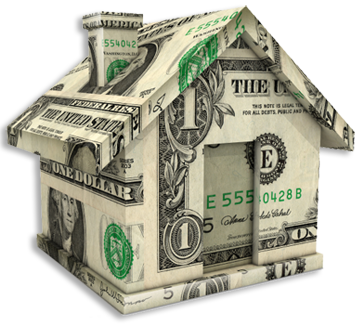 When looking at your assets, lenders are trying to figure out what you expect to use as a down payment. You are more likely to be approved for a higher loan amount if you have a larger down payment. Your lender will want to know where large deposits are coming from (if it’s a loan that you have to pay back, it’s a red flag), and how you plan to get the money for your down payment. If you can show that you’ve saved up, and you don’t have to pay anyone back for the money that you use, you will be more likely to be approved for a higher amount. Perhaps the most important item on this list is the credit score. You will need to authorize the lender to check your credit score in order to receive pre-approval. Checking your report ahead of time can prepare you for what to expect, as well as give you time to dispute inaccurate items on the report. If you want better loan terms, you have to have a good credit score. Once you complete the steps, you should have a signed pre-approval document letting sellers know how much the bank is willing to lend you, and your home buying experience should be smoother.